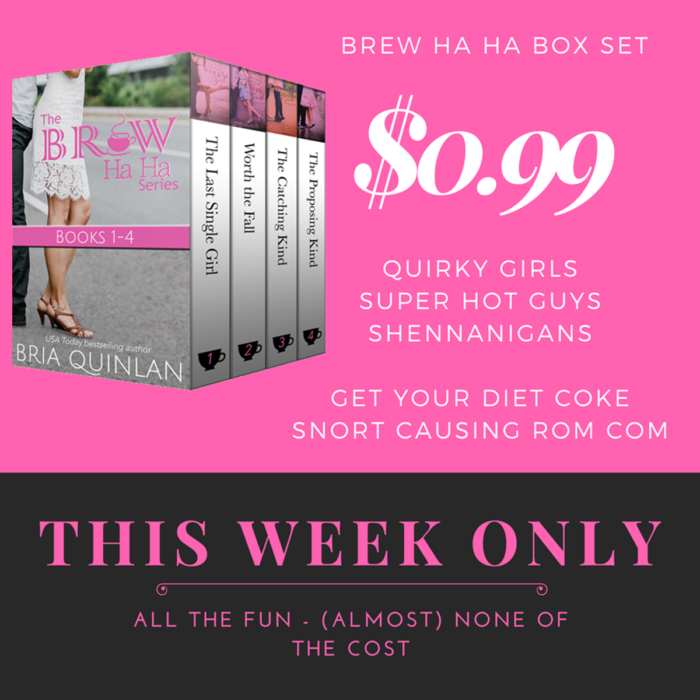 You are here: Home / Brew Ha Ha / Brew Ha Ha Box Set SALE! Awesome deal…thank you! I just one-clicked it. I was SO EXCITED when I saw this deal! But it isn’t available on iBooks. :'(. Will it be available soon? Thank you so much!! And happy birthday! ??? Showing up in iTunes at $0.99 right now. I hope you get some snort-giggles out of it.